Valentine’s Day is the perfect holiday to consider love and relationships. We often think of love as a feeling that defies explanation. Definitions for the word fail to capture the essence of what it is to love and be loved. There are variables to the levels of love. Songs and poetry wax on about the virtues of “true love”, “love at first sight”, “young love”, and the ever common, “love sick”. People talk about feeling weak in the knees, sweaty palms, and butterflies in their stomach. But mostly they talk about that euphoria that comes from being with someone who you truly care for on a deep level. Love can be defined as an action or a relationship. Largely it’s thought of as a feeling, which makes it less tangible and harder to understand. While intangibles often can’t be proven, love is slightly different because there’s scientific evidence backing up the effects. If you’re interested in living a healthy lifestyle, you shouldn’t discount the impact that love plays on your body. Everyone knows that those first stages of love can make you feel wonderful. A lot of the feelings of euphoria, contentment, and excitement stem from a chemical reaction in the brain that can benefit your whole body. 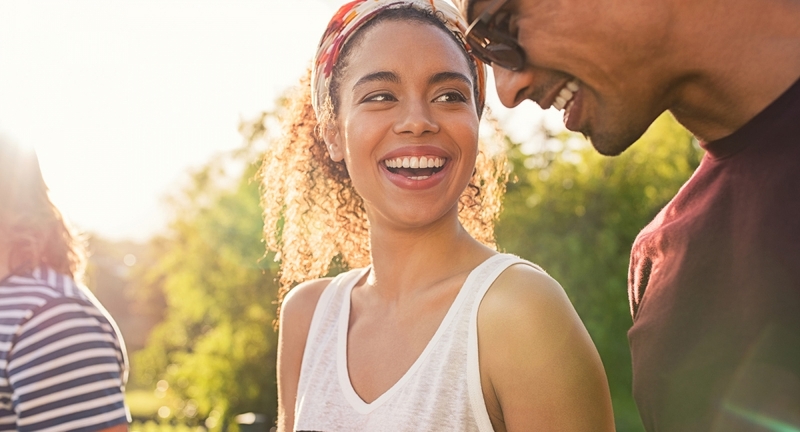 Of course, those initial feelings calm down quite a bit after we’ve gotten comfortable in a relationship, but there are other benefits that take the place of simple good feelings. 1. Lower Stress Levels. Did you know that a loving, committed relationship can help you lower your stress level? This, of course, only applies to stable and long term, loving relationships. People who are in toxic or overly dramatic relationships will often find that those environments raise their stress levels. For those who are in committed partnerships with a loving spouse, the emotional support will actually translate to less stress overall. There are a few theories as to why this is possible. It may be the simple ability to rely on a partner to talk through life issues and support you emotionally during stressful times. It may also be the fact that another person can help support you physically or financially, depending on the situation inducing stress. What is clear is that there is scientific data to show that those in committed relationships react to stressful stimuli in a more productive way than those who are single. 2. Fewer Illnesses. There’s evidence that being in love actually boosts your immune system. People in committed relationships tend to need to see the doctor less regularly and see fewer cases of cold and flu. 3. Lower Chance of Stroke. For those in committed, healthy relationships, the chance of a fatal stroke is far less likely. An Israeli study suggests that single men face a risk that’s increased by more than 60%! That’s a pretty good recommendation for being in a committed, healthy relationship. Chances of stroke are decreased for both men and women. This is likely due to the positive impact on blood pressure and lower stress levels, as well as a noted healthier lifestyle for many committed couples. 4. Decreased Chance of Heart Attack. Like stroke, your chance of having a serious cardiac incident drops significantly if you’re in a healthy, loving relationship. Some of this may be due to the fact that couples tend to make each other accountable. If a married woman has early warning symptoms, her partner will often encourage her to go to her physician and vice versa. 5. Better Pain Management. We’ve all heard that love hurts, but it also heals. A study published in Psychological Science mapped the brain’s response to painful stimulation. Subject’s who were holding their spouse’s hand during the test showed significantly less response in the areas that indicate stress than their counterparts who undertook the experiment without a significant other. 6. Decreased Incidents of Depression and Drug/Alcohol Abuse. Chemical depression is often a combination of heredity and environment, so a loving relationship does not mean that you will NEVER experience depression. However, studies do show that there is a decreased risk of mental and emotional disorders, such as depression. Some of this may be due to our human need for social interaction. People have adverse reactions to isolation. Drug and chemical abuse are often linked with depression and other disorders. It’s not surprising that these issues would also be lower in those with stable, loving relationships. 7. Longer and Healthier Life. Couples in long term relationships tend to live longer and healthier lives. This may be due in part to the fact that they have a support system in their home — a partner who helps them stay on track with doctor visits and dietary needs. There are also emotional benefits to being in a relationship that you can’t measure. These include feelings of satisfaction and having another person to consider when making life choices. If those top reasons aren’t enough to convince you that love is important, consider your happiness. According to WebMD, studies suggest that good marriages are a higher indicator of happiness and contentment than money or any other trapping associated with success.